Lights, camera—all Maeve needs is action. But at eighteen, a rare form of muscular dystrophy usually stands in the way of romance. She’s got her friends, her humor, and a passion for filmmaking to keep her focus off consistent rejection…and the hot older guy starring in her senior film project. Tall, bearded, and always swaying, Cole Stone is everything Maeve can’t be. And she likes it. Between takes, their chemistry is shockingly electric. Suddenly Maeve gets a taste of typical teenage dating life, but girls in wheelchairs don’t get the hot guy—right? 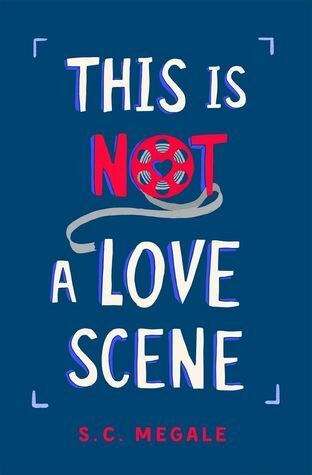 Cole’s attention challenges everything she once believed about her self-image and hopes for love. But figuring this out, both emotionally and physically, won’t be easy for either of them. Maeve must choose between what she needs and what she wants, while Cole has a tendency to avoid decisions altogether. And her failing lungs might not wait for either. 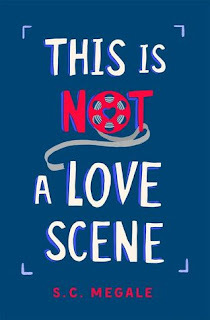 This Is Not A Love Scene is a cute read. I really enjoyed my time reading this book. I had some issues with this book and I’ll discuss those later in this review. Those issues included mostly Cole Stone. Maeve has a rare form of muscular dystrophy. She’s an eighteen-year-old girl who hasn’t had a relationship yet and is dying to be in one. She wants it all. She wants marriage in the long run and nice little domestic household. It’s everything she deserves. She’s an amazing person. Maeve and her friends are really into filming. They take this really awesome class that I relate to because I totally took that class in high school. This is how she meets Cole. She wants Cole and Cole seems to want her. I don’t know what Cole wants. Heck, Cole doesn’t know what Cole wants. Which comes to my issue with this book. Maeve deserves more than Cole. He’s not a good person for her. He seems to care what everyone thinks about the two of them. It’s not right and Maeve shouldn’t put up with it. She even has a second option. Someone who actually loves her for who she is and doesn’t care what anyone thinks. But no, she’d rather have a chance and sleep with Cole even if that’s all he is willing to give to her. It just really frustrated me. So unbelievably much. Also, who is R. He is mentioned a couple of times in this book and something happened with him. We don’t get any insight of what actually happened. Almost felt unimportant enough to leave out of the book. Overall, I really enjoyed this book. I’ll definitely purchase a finish copy once it’s released. I will say that I do feel like the representation felt good to me. I’m not handicap myself, so I can’t actually say if it was done right. After some research, I see that the author herself has Spinal muscular atrophy. Knowing this book is own voices really makes me respect it even more. I’m really hoping for more amazing books by Megale. This is an amazing debut novel. I wish nothing but the best for her career!